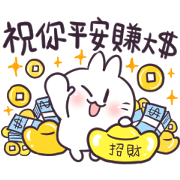 This cute rabbit goes to work with some choice Taiwanese phrases in hand! This set is full of cute and handy greeting stickers for work—use them to share a little happiness in the office! 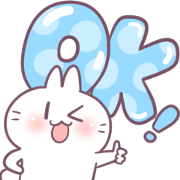 Cute Rabbit’s here for all your Taiwanese greeting needs.